With the military detained and the planet in serious peril, two brothers vow to find and destroy the evil power that now threatens Gunstar 9. 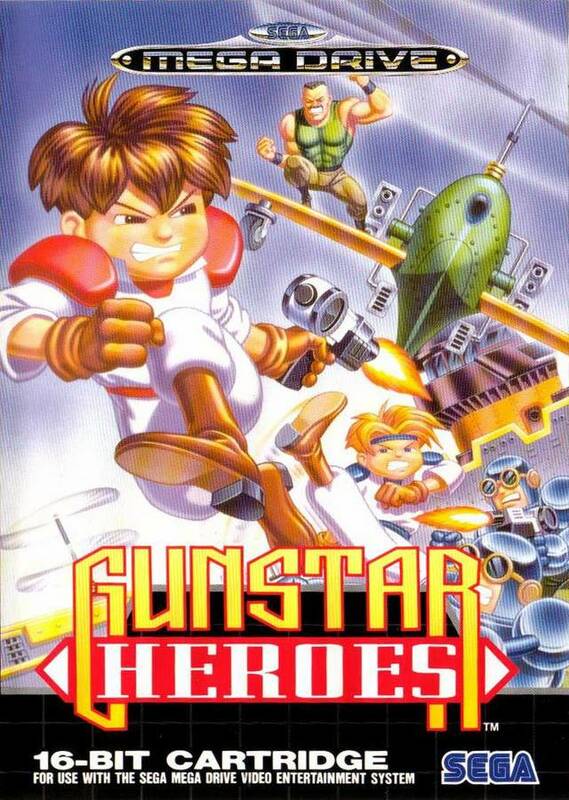 If they succeed they shall go down in history as Gunstar Heroes! If they fail… Gunstar 9 shall perish. Explosive 2-player action. Race through impossible mine shafts at mind-numbing speed! Do battle with incredible mechanical menaces! Hang from ledges, shoot in 360 degrees and body slam the mindless minions!